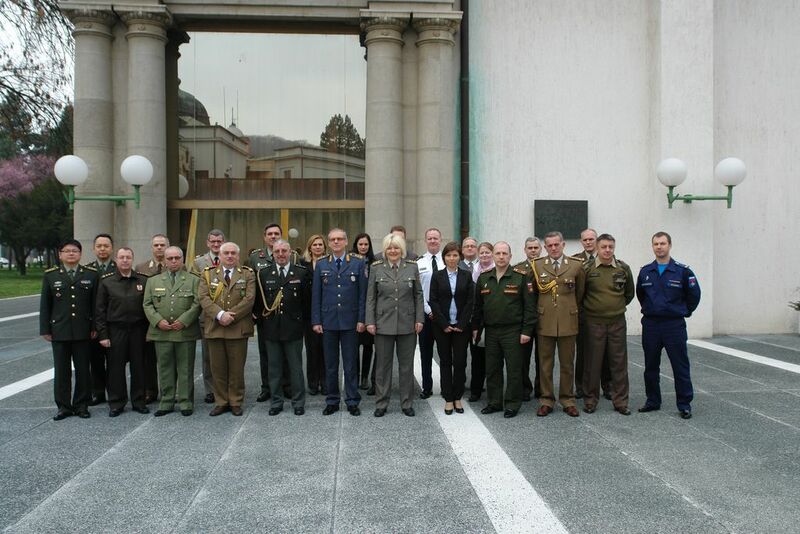 In the House of Guards in “Topcider” Barracks, on March 9th 2016, Major General Sladjan Djordjevic, head of the Defence Policy Sector, briefed foreign defence representatives accredited in the Republic of Serbia on the Directorate for European Integration and Project Management: its organizational structure, responsibilities and planned activities in the years to come. He emphasized that the process of accession to the European Union, for more than 15 years, has been the highest priority for the Government of Serbia, underlining that the MoD and the SAF, being the best organized part of the state, contribute significantly to the European integration process. Colonel Dr Katarina Strbac, Director of the Directorate, informed the guests on the results achieved so far and the priorities for the following period. She invited all interested parties to improve the cooperation, especially in the field of projects financed by off-budget funds. Presenting the Europen Integration Group, she pointed out to the fact that the Ministry of the Defence participates in the work of 20 out of 35 negotiating groups, within the negotiation process on the accession of Serbia to the European Union. Due to their importance for the defence system, the results of the Negotiation Groups for Chapter 23 (Judiciary and Fundamental Rights), 24 (Justice, Freedom and Security), 31 (Common Foreign, Security and Defence Policy) and 32 (Financial Management and Control) were specifically analyzed. The Project Management Group presented its scope of responsibility and the criteria for selection of projects planned to be funded through extra extra-budgetary funds. Special attention was given to priority areas of project activities defined for the period 2016 – 2019.